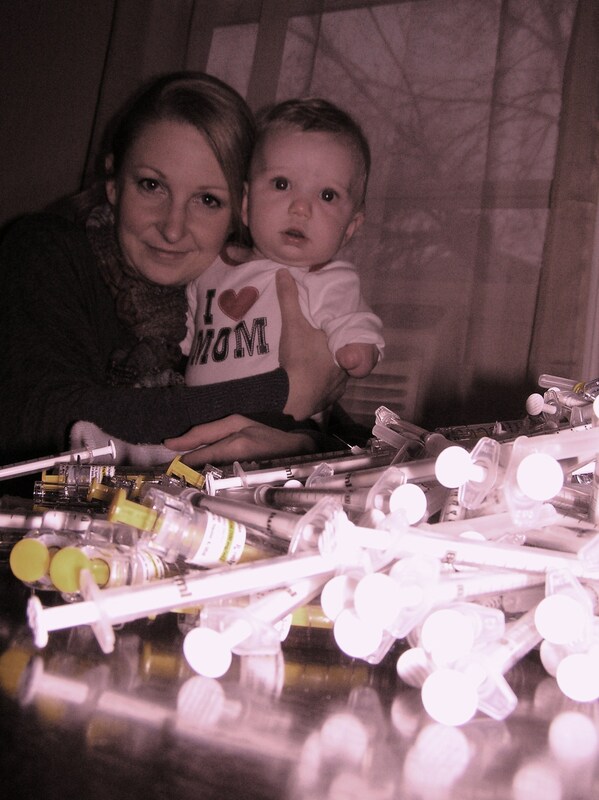 To be able to FINALLY hold my baby in my arms I had to endure a bit of pain.Twice daily injections of Heparin helped prevent blood clots that could have potentially jeopardized my baby.This is what I needed to do in order to keep my blood thin enough during my pregnancy. This entry was posted in Uncategorized and tagged allergic to aspirin, being a mom is the best job in the world, blood clotting disorder my have caused miscarriages, blood thinners and going into labor, donate to a good cause, factor II clotting disorder, Hands For Jameson, Heparin injections during pregnancy, lovenox injections during pregnancy, multiple miscarriages, on heparin and going into labor. Bookmark the permalink.